Willow & Wild Box have created a brand new special siblings box for sharing! 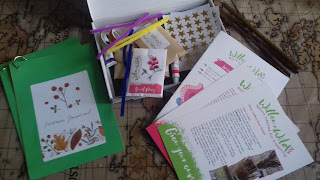 This new box has 2 sets of craft materials and larger packets of seeds with some of the contents which can be shared for instance, laminated cards, booklet, paint brushes & glue sticks. The Willow & Wild Box month by month subscription ensures that you have a box delivered through your letterbox every month, personalised with both children's names. DS7 and DD4 have enjoyed receiving their Willow & Wild Box each month for the past year, now they are trying the siblings box. Packed with lots of creative fun, inspired by nature, these boxes make teaching the children about the world around them almost effortless. It always comes with everything you need in the box and lots of extra ideas to develop their learning further. My kiddies love storytime before bed and often ask me to read a favourite book over and over again. 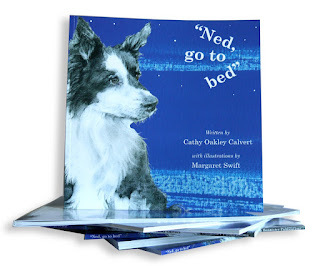 One story they enjoy is Ned, go to bed written by Cathy Oakley Calvert and beautifully illustrated by Margaret Swift. They enjoy listening to the daily adventures of Ned the fluffy, black and white border collie. So I recently booked special guests to attend our Home Education session at the local library where I work. Cathy and Ned the sheepdog came along to meet the children. They were delighted when they found out that Cathy had brought in Ned to meet them. She read out the story followed by an activity which everyone enjoyed! Today I will be interviewing Cathy and Margaret to find out more about what it's like being an author and illustrator as they answer my kiddies' questions. Keep reading to find out how you can purchase a copy of this book, with low postage costs and Cathy is happy to sign it as well as adding your child's name! 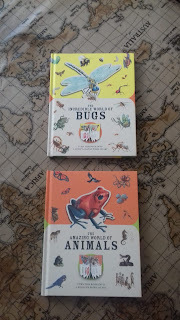 We have been turning these beautifully illustrated books into wildlife works of art today, creating a parade of amazing animals and incredible bugs! These colourful books from Carlton Books have press-out diecut pages which transform into little interactive galleries. The kiddies have been busy pressing out the pages and reading lots of fun, fascinating facts! Check out our short clip over on Instagram here. We are teaming up with Carlton Books this week to run a giveaway too! To enter, just head over to our Instagram page! Paperscapes also have other great titles in the series such as Space and Dinosaurs! Today we are reviewing Amazing Amimals and Incredible Bugs! The kiddies have been reading all about many different creatures from seahorses and sailfish to fireflies and fleas! Today I am interviewing Sarah Ruth from the USA who Home Educates her children. 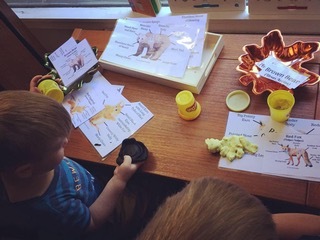 Grab yourself a cuppa and read all about how she educates her children, what a typical Home Ed day looks like and what advice she would give to others just starting their Home Ed journey. When and why did you decide to Home Educate? I taught in the public schools until I was expecting our first son. Interacting with the system first hand solidified my desire to home educate. I want our world view taught to our children. I desire to influence and help guide them as they discover and explore various ideas, theories, and the world in general. Plus, I want to know them and get as much time with them as I can! 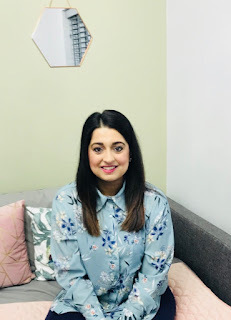 I'm excited to share this guest post with you today from interior designer, Zahra Abbas, who will be sharing her innovative ideas on interior design for families who educate their children at home. Zahra Abbas is an interior designer, focusing on designing residential homes, along with her husband. Her interior design journey began after completing a mentorship programme by an industry expert. Zahra specialises in creating aspirational interiors by using juxtaposition for the basis of her designs. Zahra lives in the South East of England with her husband and two young daughters. Springwatch, Autumnwatch and Winterwatch! We love getting involved and watching them all. The kiddies can't wait for the next series and this year BBC Live Lessons are getting involved! 'We’re teaming up with Winterwatch to bring wildlife into your classroom in this science Live Lesson! Designed for 7 - 11 year olds, this live interactive programme will investigate living things and their habitats, the impact of seasonal changes on our wildlife, and the connections between all living things. Join in at 2pm Thursday, 31st January 2019 and don't foregt to encourage your kiddies to explore your local area prior to watching the live lesson, in order to find out what wildlife shares their space! 'Opening in January 2019 for its 9th year, 500 Words is one of the most successful story-writing competitions for kids in the world and is open to every 5 - 13 year old in the UK. 500 Words judges and authors Charlie Higson and Frank Cottrell-Boyce will be sharing tips, answering your questions and attempting to write a whole 500 Words story in the space of a single Live Lesson! For more info please visit the BBC Teach website here or the 500 Words Website here.